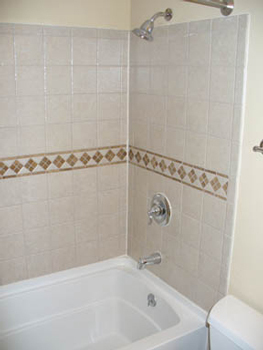 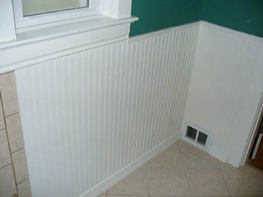 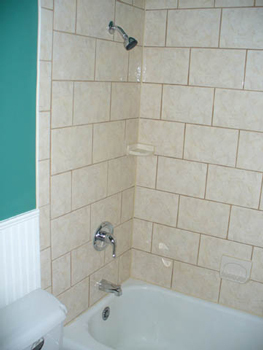 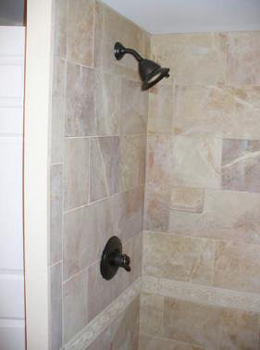 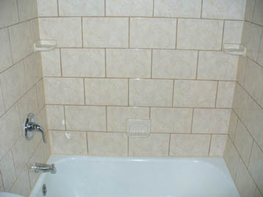 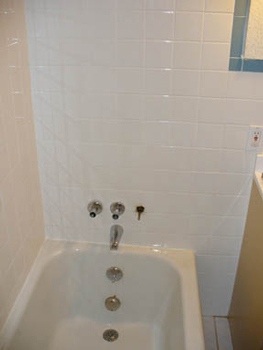 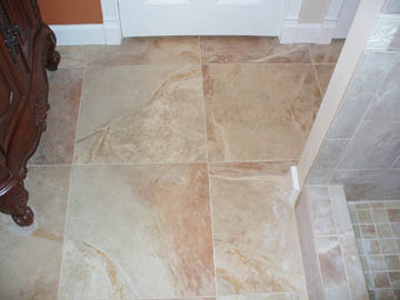 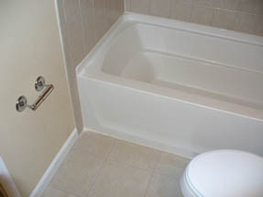 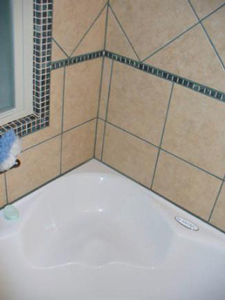 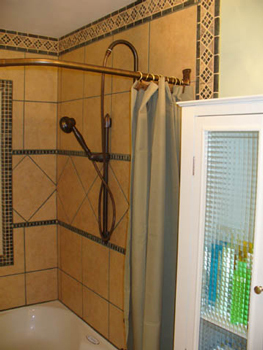 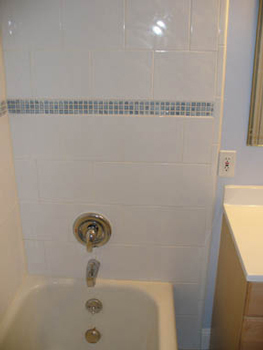 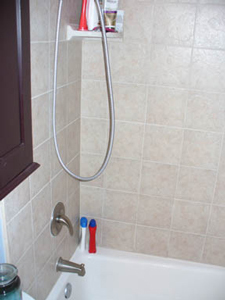 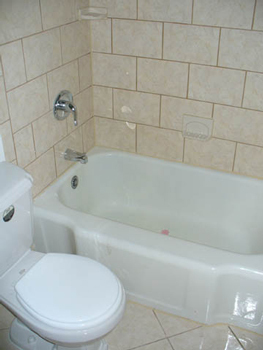 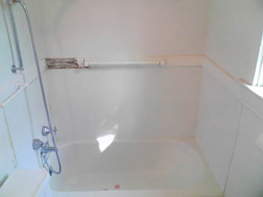 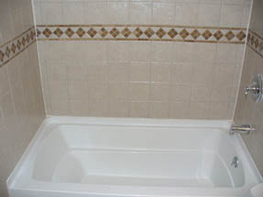 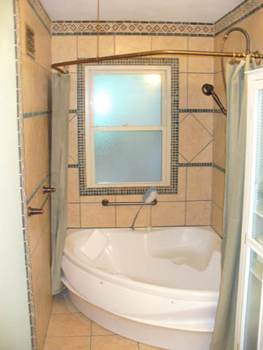 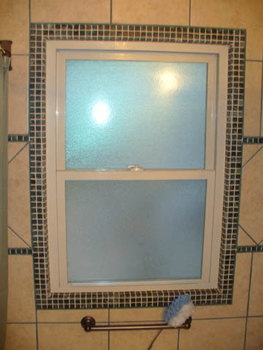 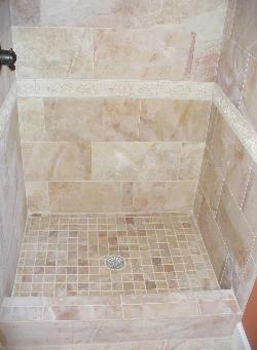 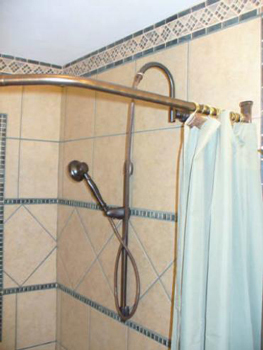 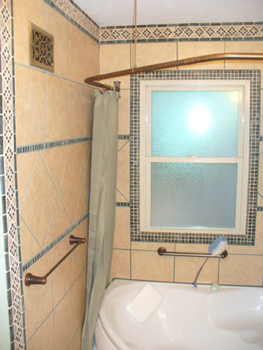 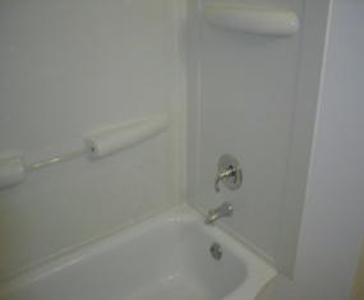 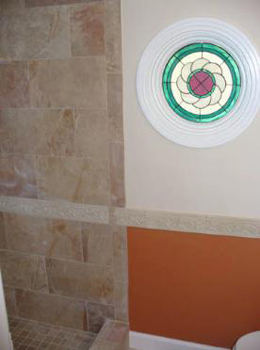 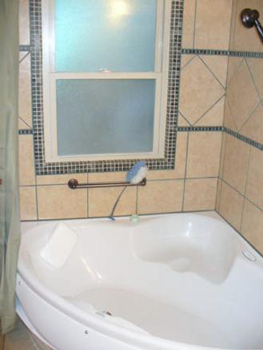 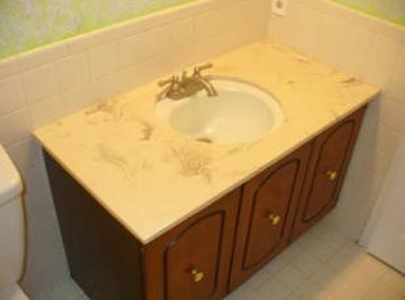 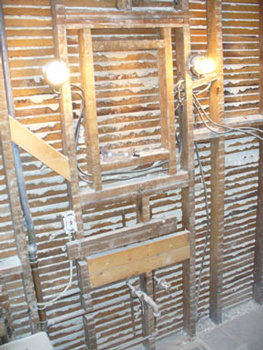 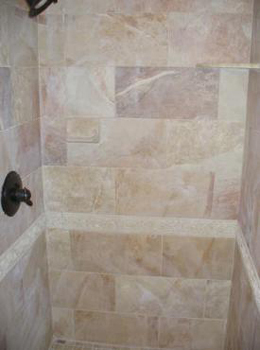 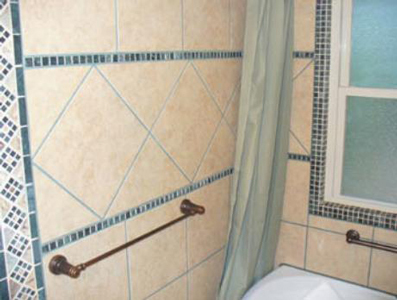 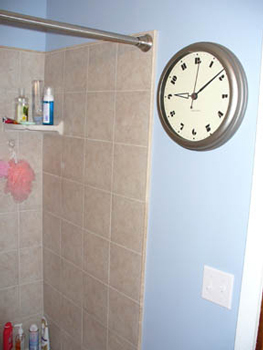 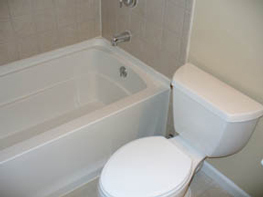 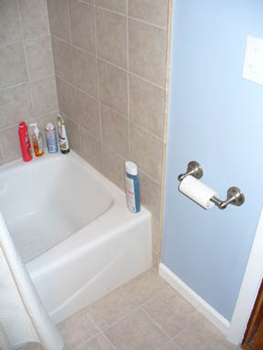 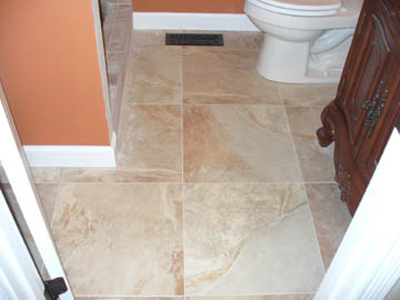 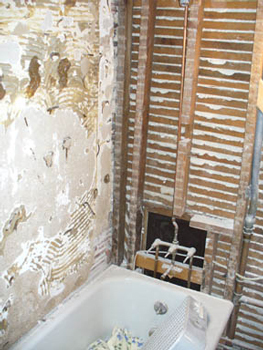 From a simple tub caulking to a complete bathroom renovation, we can improve your bathroom. 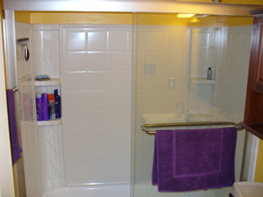 Click these links to see examples of our work. 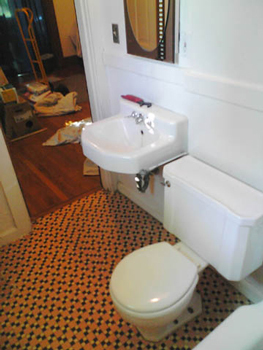 Harry the Handyman installed new flooring and pedestal sinks in Eric's beautiful three story 100 yr old house in the Central West End. 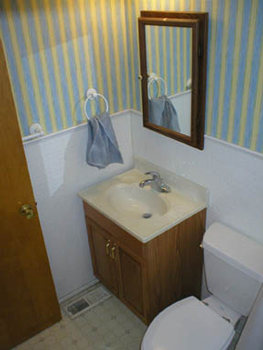 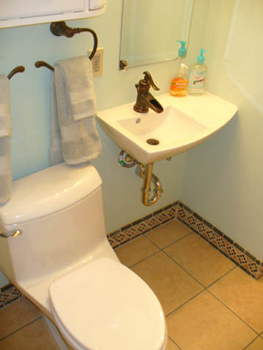 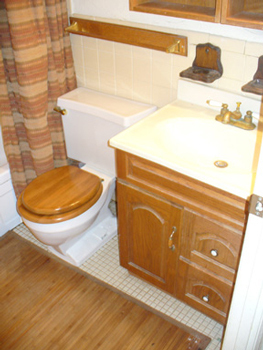 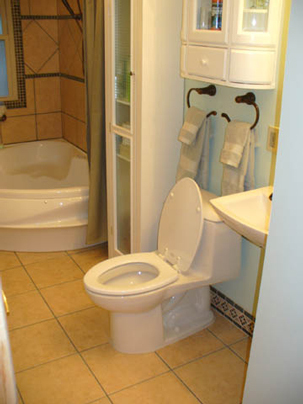 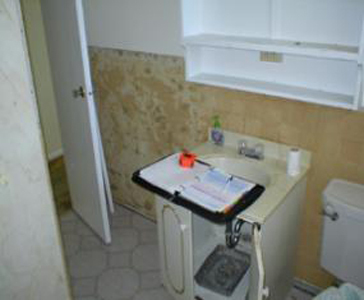 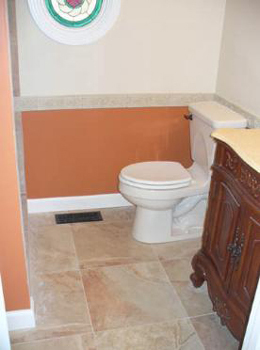 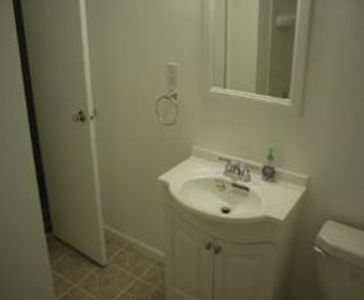 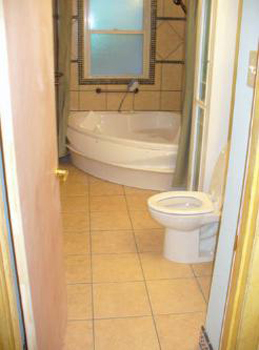 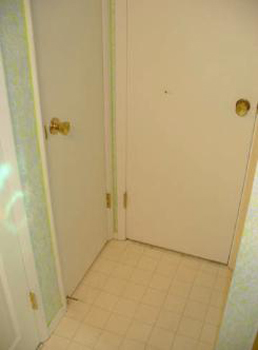 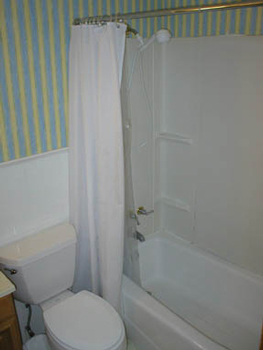 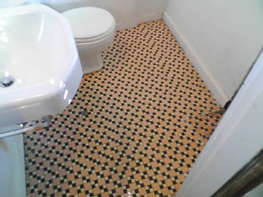 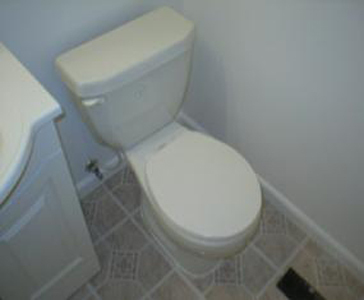 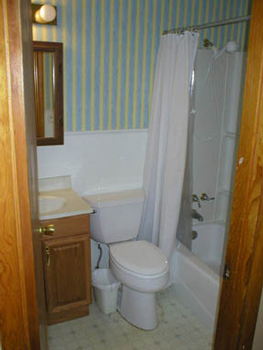 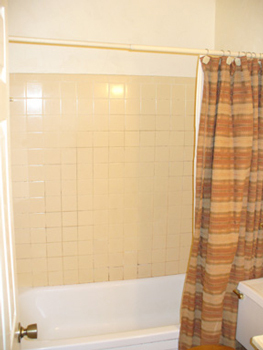 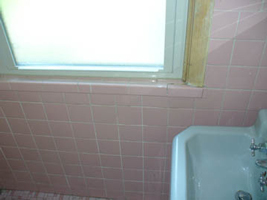 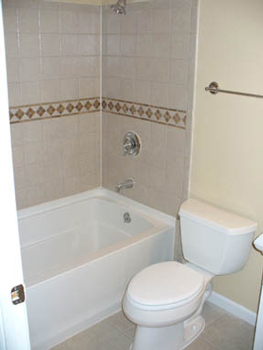 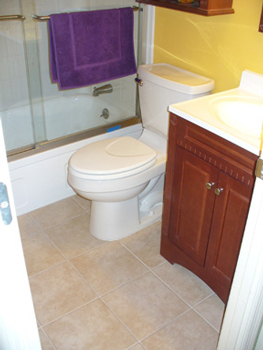 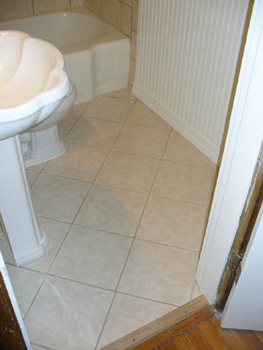 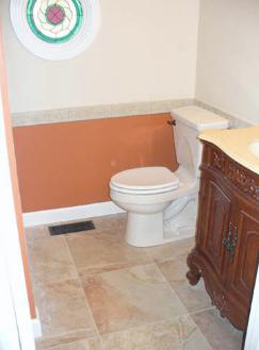 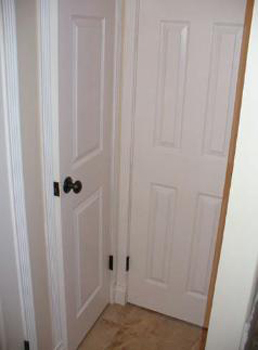 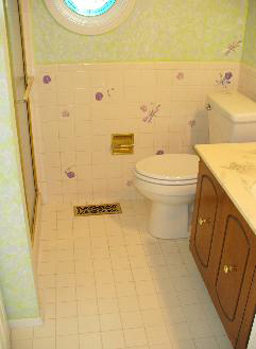 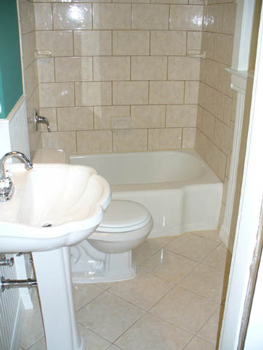 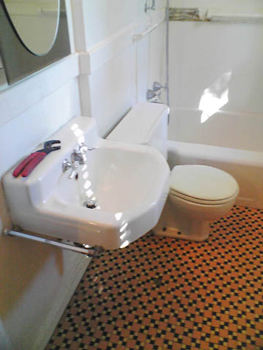 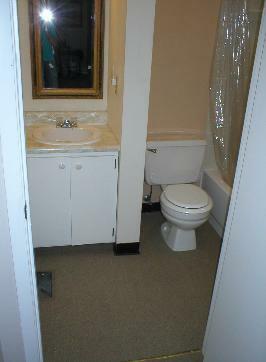 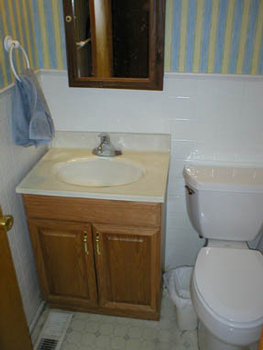 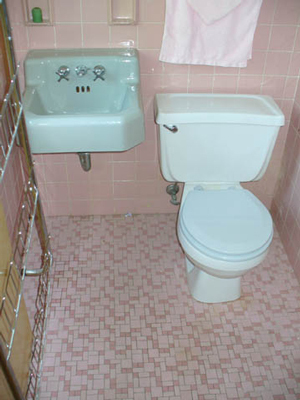 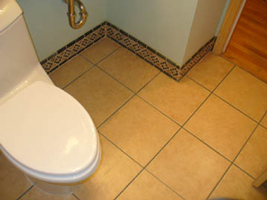 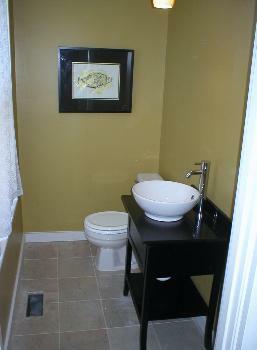 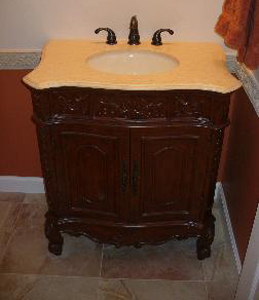 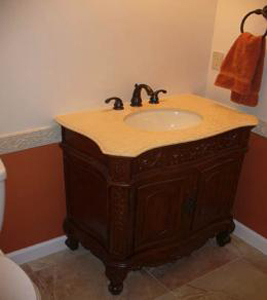 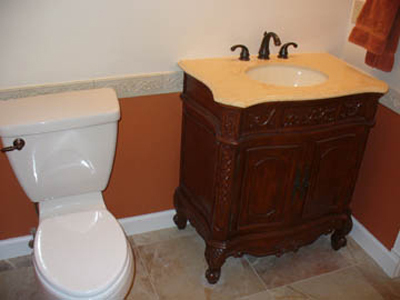 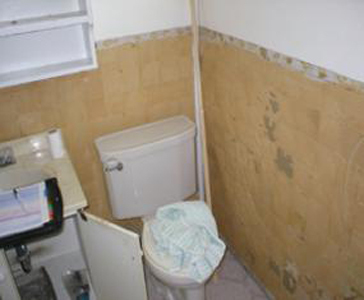 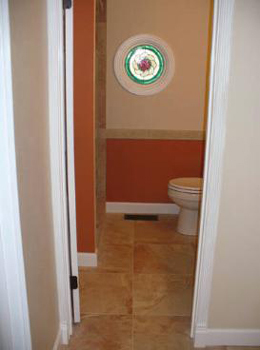 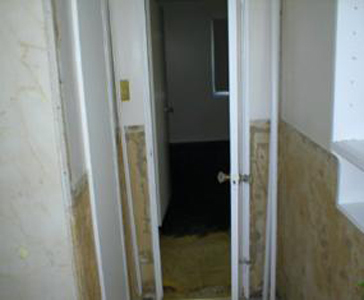 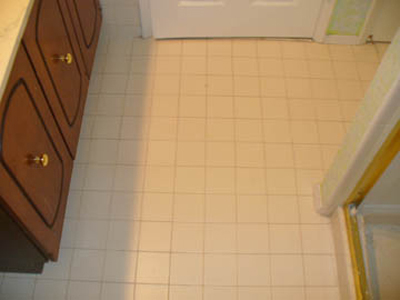 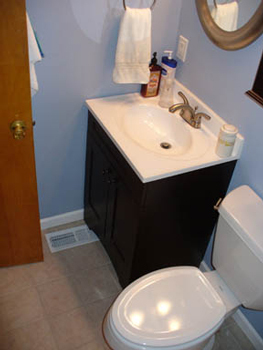 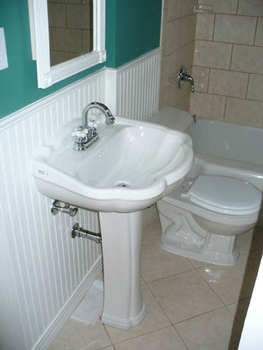 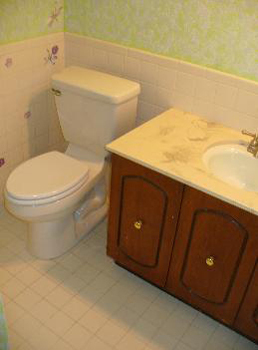 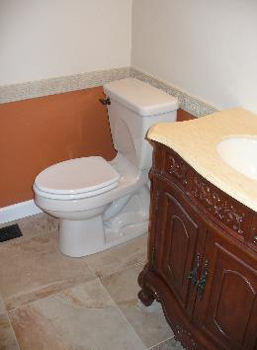 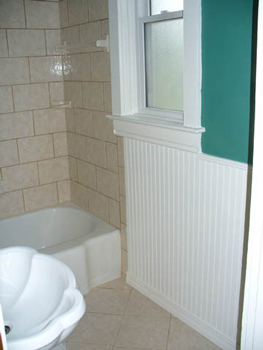 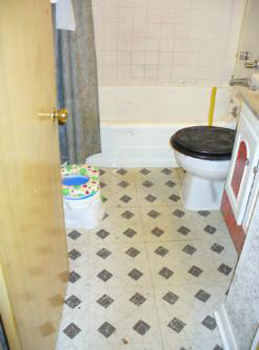 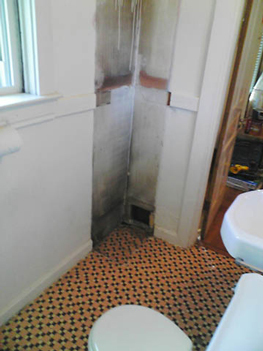 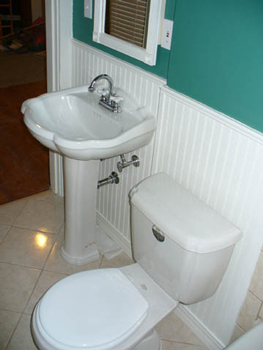 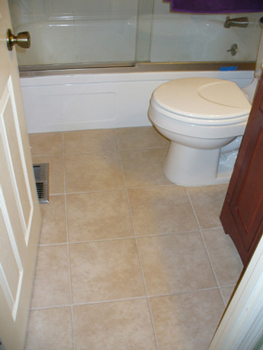 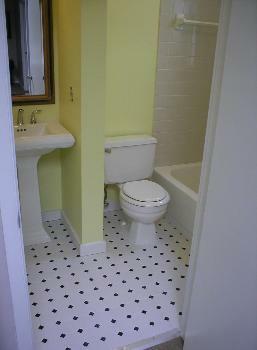 For this remodeling, we replaced the toilet, stripped the wallpaper, put in new tilework, and painted. 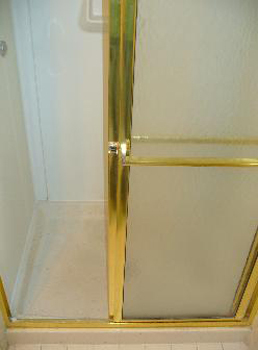 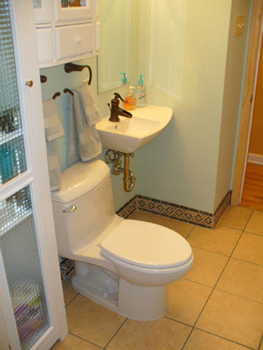 Harry the Handyman converted two small outdated bathrooms to one large luxurious bathroom with a corner air jet tub and exquisite ceramic tile from floor to ceiling. 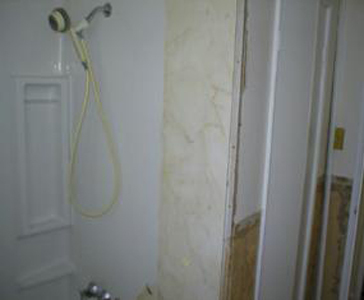 Original master bathroom viewed from the master bedroom. 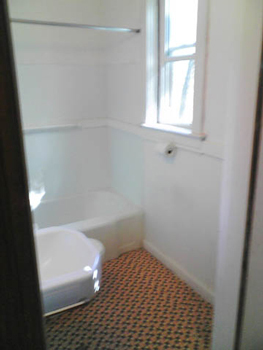 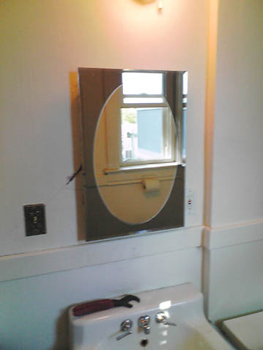 The new, larger, classy bathroom! 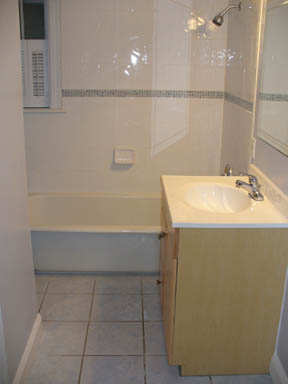 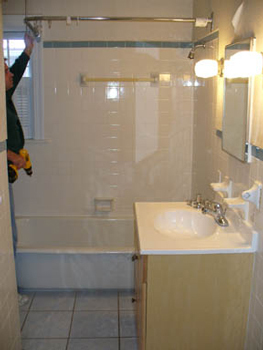 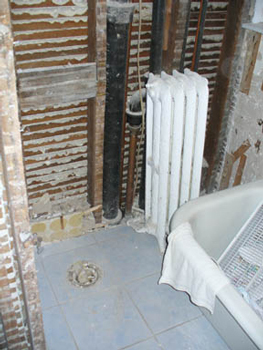 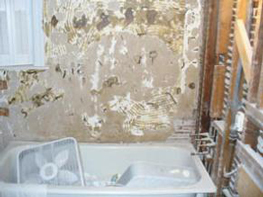 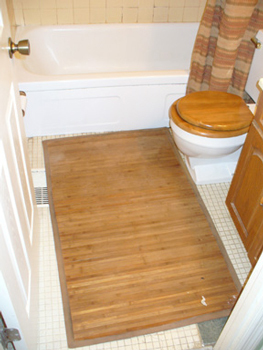 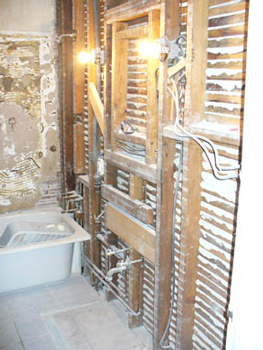 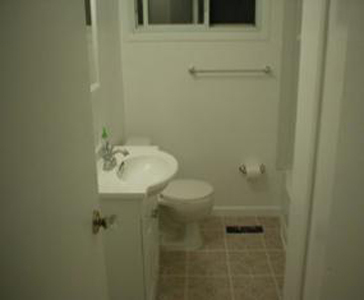 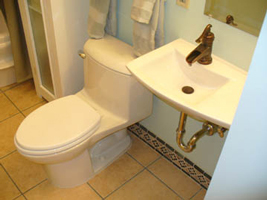 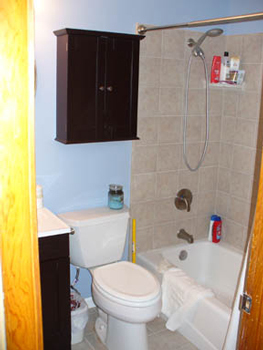 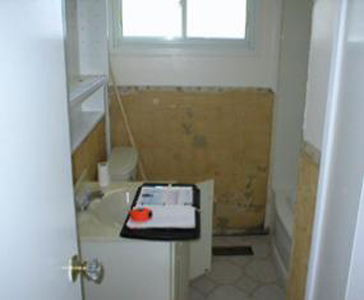 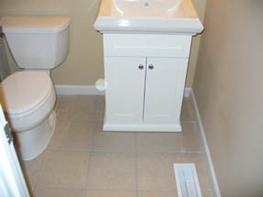 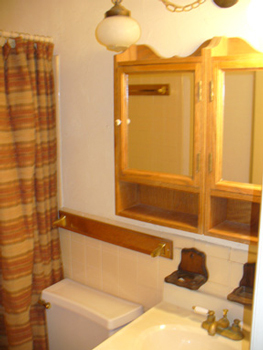 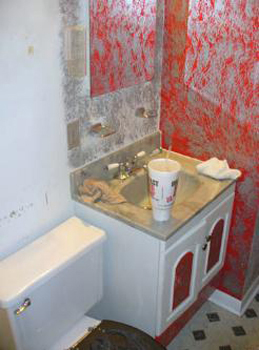 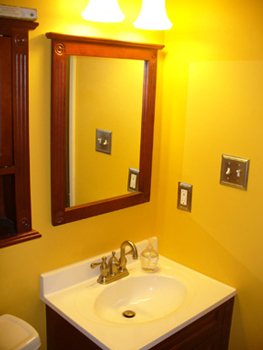 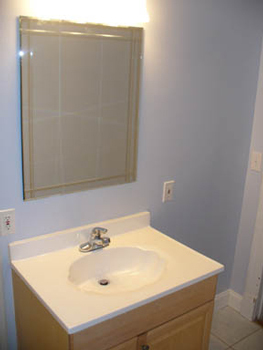 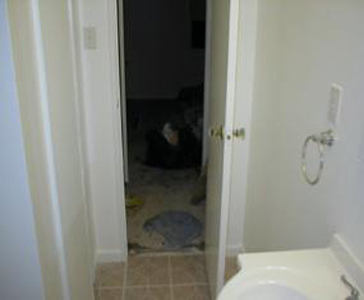 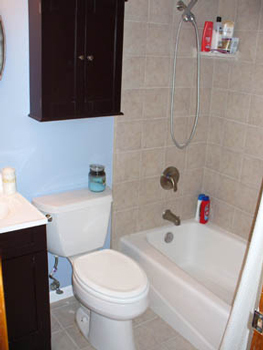 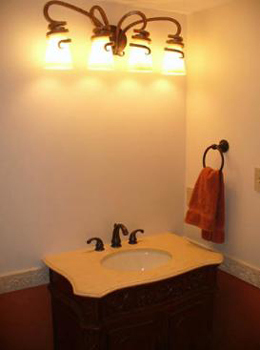 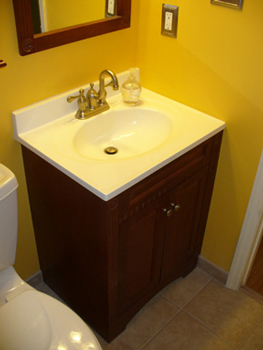 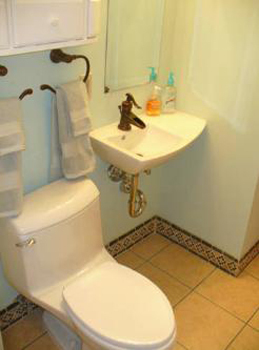 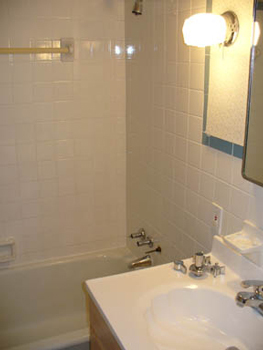 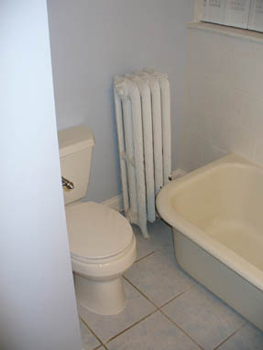 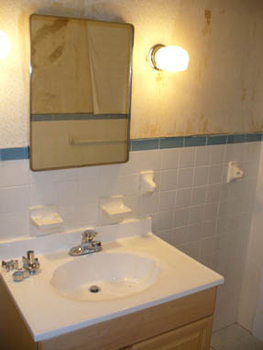 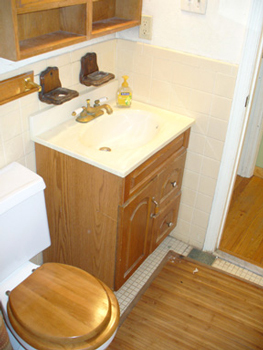 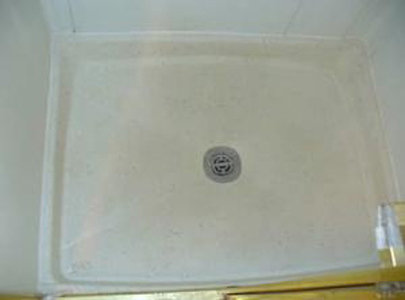 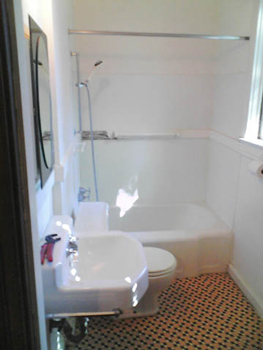 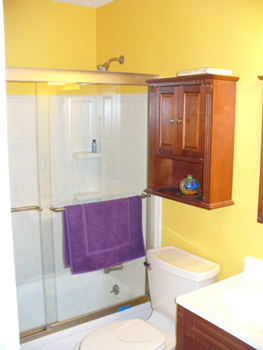 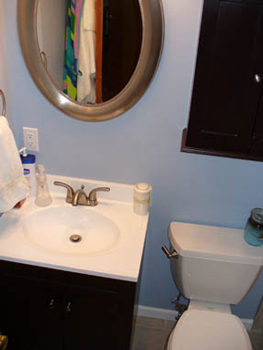 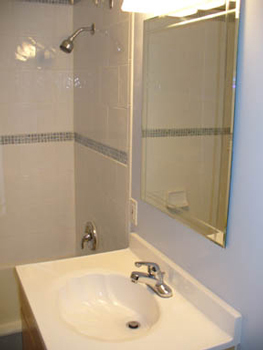 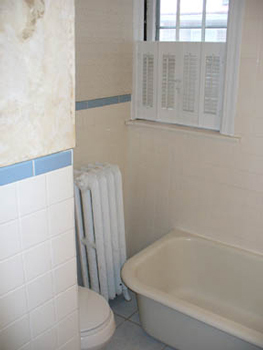 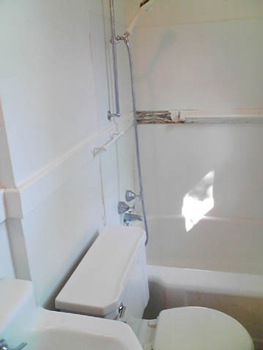 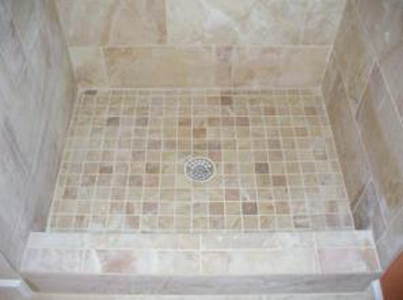 Harry the Handyman gave this bathroom in a rental property a total overhaul. 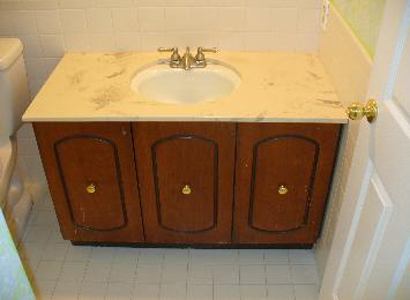 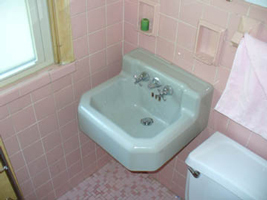 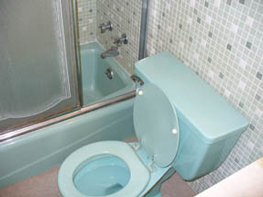 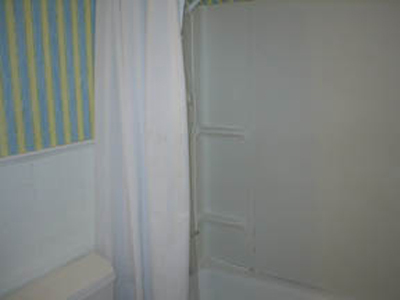 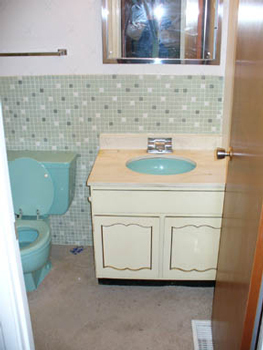 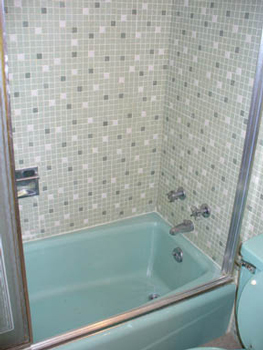 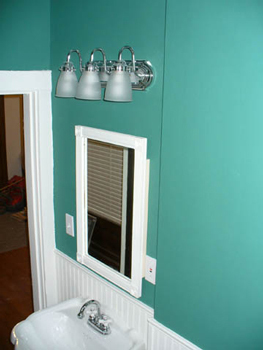 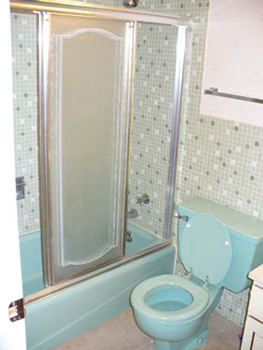 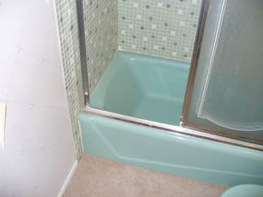 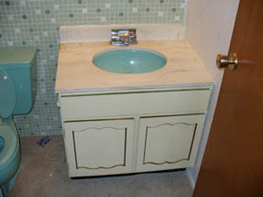 Harry the Handyman updated this mint green circa 1960's bathroom just in time for the holidays. 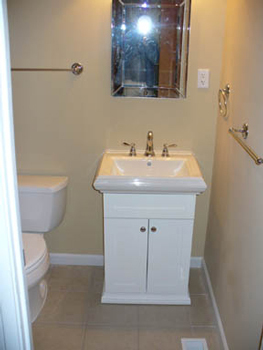 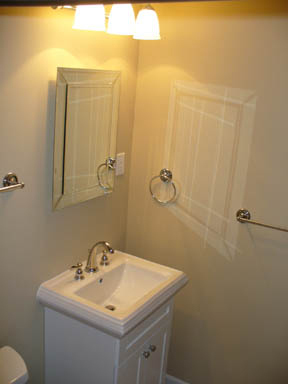 Another bathroom beautifully remodeled by Harry the Handyman. 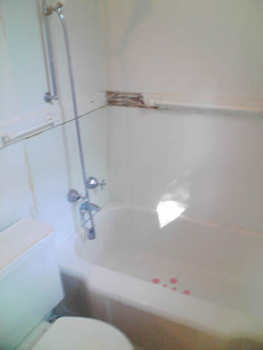 Harry the Handyman completely gutted the plaster and lath from this 80+ year old bath then re-drywalled and made a new tiled bath area. 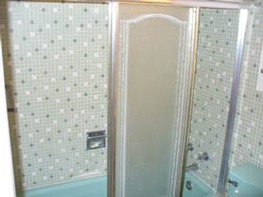 Harry the Handyman gave this first floor guest bathroom in a century old house a brand new look.